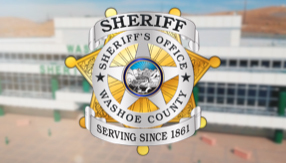 The Washoe County Sheriff's Office, Reno Police Department, Sparks Police Department and Washoe County School District established a single multi-jurisdictional gang unit which is not bound by jurisdiction limits. The officers from each agency have been deputized by the Sheriff to investigate cases anywhere in Washoe County. This ability minimizes the time lag, which is so critical in gang investigation cases. The Regional Gang Unit officers take a proactive approach in an effort to reduce the appeal of gang membership with students. The members of the Regional Gang Unit give talks at schools, both private and public, providing education to students, parents and teachers on the dangers of gang violence. In addition, they also assist other detective units in gang-related investigations, up to and including homicide. They have been successful in solving several homicide cases. Some of the duties of the Regional Gang Unit include intelligence gathering, information sharing, gang suppression and investigations into any gang-related or gang-motivated crime. The Regional Gang Unit works closely with several Federal agencies to include the FBI, DEA, DHS and ICE. The Justice Assistance Grant (JAG) provides federal funds to the local multi-jurisdictional gang task force. These funds enhance local agencies' budgets toward efforts to suppress gang activity.